The American luxury car market was booming in the 1920s and 1930s, despite the Great Depression and the worst economic recession the world had ever seen. The Duesenberg, Packard, Stutz, Cadillac and Cord companies represented the pinnacle of American engineering as well as style with their sculptured bodies and appeal. However, by the early 1940s, the luxury market died, and America was involved in World War II. So, after the war, the industry concentrated on producing military vehicles and planes. After the war, Detroit realized the market needed some new, inexpensive cars. Across the industry, car manufacturers presented such models. Soon, new car sales jumped. People enjoyed modern machines with powerful engines, automatic transmissions and whitewall tires. However, with the rise of domestic production, Detroit’s marketing managers saw there wasn’t a luxury model to offer to the most discriminating customers. Cadillac, Packard, Lincoln and Imperial all sold well. But of those companies didn’t have anything to match the uniqueness or exclusivity of the Bentley Continental R or Mercedes 300 S Convertible. So, during the ’50s, several American manufacturers introduced exclusive and expensive models to rival the European luxury coupes and sports cars. So, keep reading to learn about all of them. You’ll revisit some familiar models and also some cars you never knew existed. Take an exciting ride with the best American luxury coupes and sports convertibles from a decade that brought rock and roll, the small block V8 and chrome fins. The story of the Nash Healey is an interesting one. Some people called the car the original American sports car because it debuted two years before the Corvette in 1951. The project started when the head of Nash Car Company met with Donald Healey, British engineer and constructor on a cruise ship. They decided to make the proper sports car that America didn’t have at the moment. The idea was to take the Nash Ambassador platform and a six-cylinder engine. They wanted to cover it with an elegant roadster or coupe body consisting of aluminum for a lower weight. They presented the first cars in 1951. And despite the 125 to 140 HP from 3.2-liter straight six engine, the Nash Healey delivered a respectable performance. They unveiled their redesign by Italian design house, Pininfarina, in 1952. 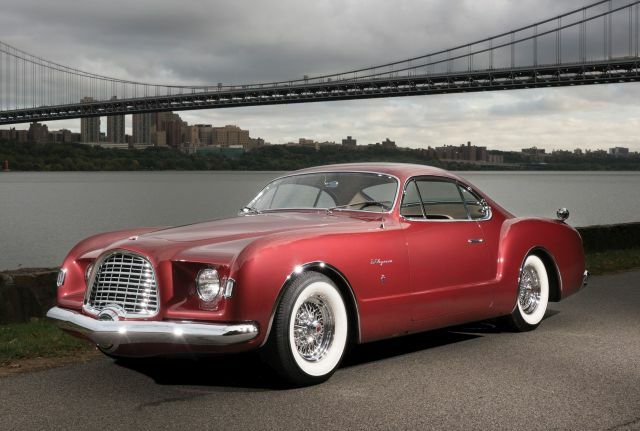 And in 1953, they introduced the closed coupe. The Nash Healey was an accomplished car and even had several highly publicized racing wins. However, the high price and lack of brand recognition killed the project in 1954 after they make only 506 of them.